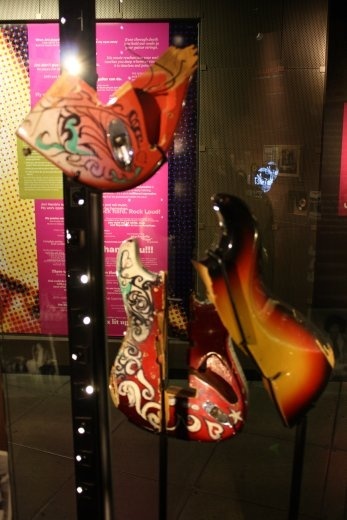 Some of what were once Jimmy Hendrix's guitars. They had his Woodstock one there too. Seattle is hard on guitars.